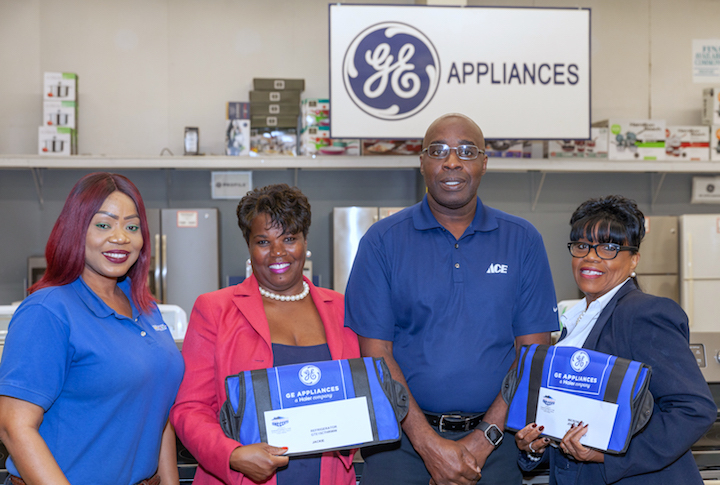 Two of five the GE appliance winners were on hand for photos; Dolly Madison sale rep Demetria Dorsett, GE Fridge winner Jackie Russell; Dolly Madison store manager, James T. Rolle and GE Microwave winner,Leona Coakley. 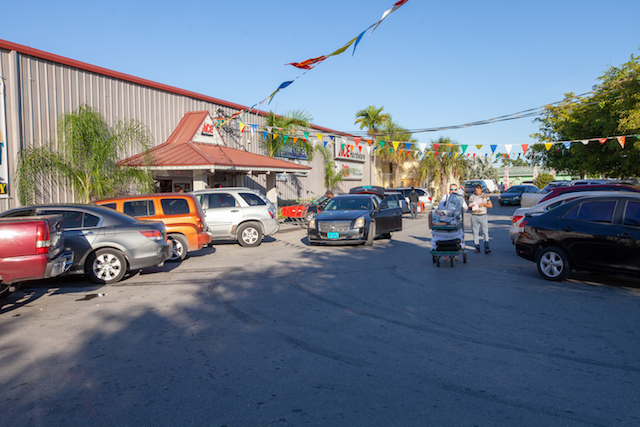 Freeport, Grand Bahama Island - Dolly Madison Home Center and GE Appliances teamed together December 19th, 2018 during the Island’s biggest sale of the year, The Early Bird Christmas Sale to giveaway GE appliances to five lucky shoppers. The winners were; Jackie Russell (Fridge), Leona Coakley (Microwave), Jewel Pratt (Electric Range), Sannado Bartlett (Freezer) and Derek Nesbitt (Microwave). Vouchers were presented on January 7, 2019. GE and Dolly Madison send hearty congrats to the winners.